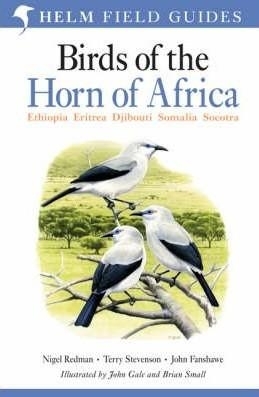 The Horn of Africa has the highest endemism of any region in Africa, and around 70 species are found nowhere else in the world. Many of these are confined to the isolated highlands of Ethiopia and Eritrea, but a large number of larks specialise in the arid parts of Somalia and adjoining eastern Ethiopia, whilst the island of Socotra has its own suite of endemic species. The region is also an important migration route and wintering site for many Palearctic birds. This is the first field guide to the birds of this fascinating region, and a companion to Birds of East Africa by two of the same authors. Over 200 magnificent plates by John Gale and Brian Small illustrate every species that has ever occurred in the five countries covered by the guide, and the succinct text covers the key identification criteria. Special attention is paid to the voices of the species, and over 1000 up-to-date colour distribution maps are included. This long-awaited guide is a much-needed addition to the literature on African birds and an essential companion for birders visiting the region.